In early 2020, Disney Cruise Line will offer families even more ways to explore the world together with the addition of a brand-new home port in New Orleans and a highly anticipated return to the Hawaiian Islands. Disney Cruise Line will also return to Puerto Rico for a limited time and continue guest-favorite itineraries to tropical destinations from Florida and California. Bookings open to the public on Oct. 4, 2018. More details on 2020 itineraries can be found on the Ports and Itineraries for 2020 page of disneycruise.com. 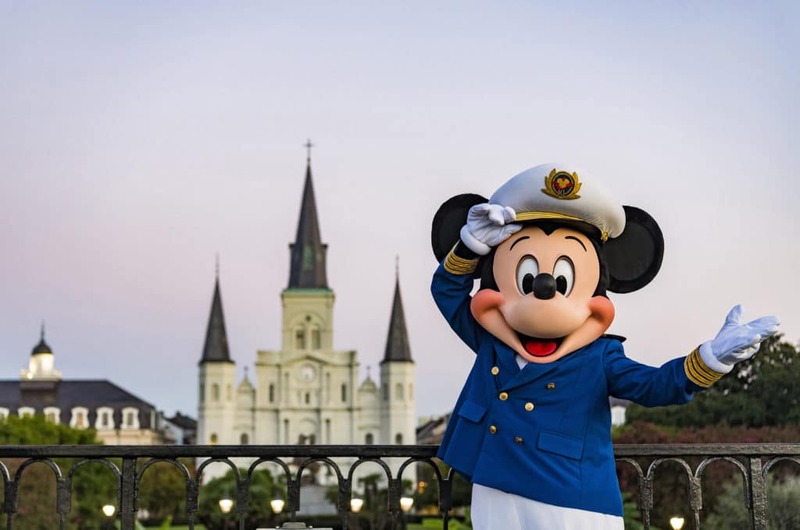 In 2020, the Disney Wonder will embark on a variety of Caribbean and Bahamian cruises from New Orleans – the first time Disney Cruise Line will have a home port in Louisiana. Not only will this provide families from the region with the magic of having a Disney ship in their own backyard, but it will also draw families from farther away to discover this incredible city before they set sail. The Disney Wonder will embark on six cruises during this limited-time season from New Orleans, including four-, six- and seven-night Western Caribbean sailings; a seven-night Bahamian cruise; and a 14-night Panama Canal voyage, departing Feb. 7 through March 6. After a five-year hiatus, the Disney Wonder will return to Hawaii in early 2020 for two special cruises: a nine-night voyage to Honolulu from Vancouver, Canada, on April 29, and a 10-night sailing back to Vancouver on May 8. During these dream vacations, guests will discover the breathtaking beauty of the Hawaiian Islands, including the famous beaches of Waikiki on Oahu; the views from high atop the summit of Haleakala Crater on Maui; the lush tropical gardens and waterfalls of Kauai; and the diverse natural wonders of Hawaii Island. The Disney Wonder continues its standout season with returns to popular home ports on both coasts. First, the ship sets sail for the Southern Caribbean during two seven-night voyages departing Jan. 19 and 26 from San Juan, Puerto Rico, followed by a five-night Bahamian cruise. Then beginning on March 20, the ship embarks on seven sailings to Baja and the Mexican Riviera, ranging in length from two to seven nights, from San Diego, California. Disney Cruise Line will have three ships sailing to the Bahamas and Caribbean from Florida in early 2020, and every cruise includes a day of fun in the sun on Disney’s private Bahamian island reserved exclusively for Disney Cruise Line guests, Castaway Cay. From Miami, the Disney Magic will sail three-, four- and five-night Bahamian cruises and five-night Western Caribbean cruises. From Port Canaveral, the Disney Fantasy will sail seven-night Eastern and Western Caribbean itineraries, plus two special sailings at six- and eight-nights each. From Port Canaveral, the Disney Dream will sail three- and four-night Bahamian cruises to Nassau and Castaway Cay. With a variety of options from Florida, guests can choose the vacation that provides something for everyone in the family, combining the adventure and relaxation of tropical destinations, the ease and indulgence of an ocean cruise, and the world-class entertainment and service of a Disney vacation.